Desperately needing a decent bridge Defiant-class bridge set, I spent some time building and assembling this one. 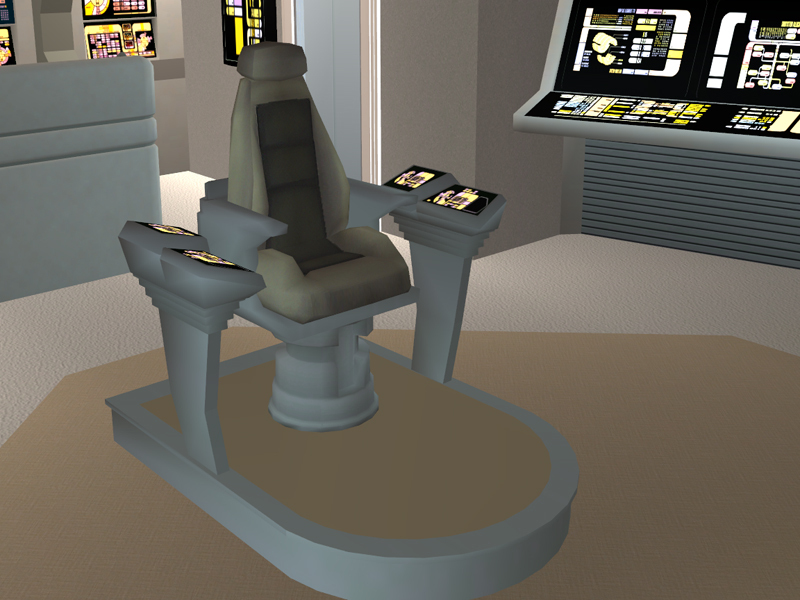 Here are seven new pieces of furniture to complete your Defiant-class bridge. Five are ported from Bridge Commander and re-meshed, two were built freehand. Hope you like it. Egghead stuff: 466 polys. The display TXMT is backlit. Egghead stuff: 1430 polys. 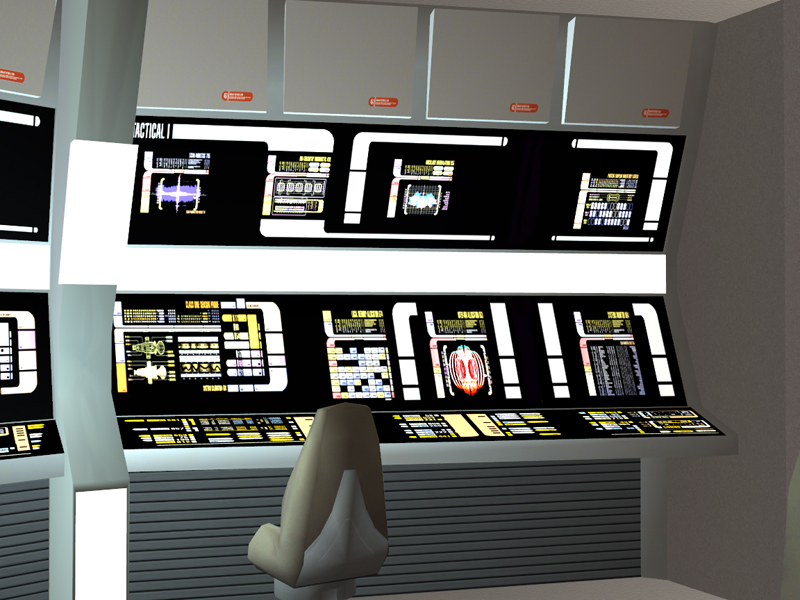 The Z translation of the slot is slightly higher than normal (0.200000), so that the sim sits in the correct position. Egghead stuff: 1259 polys. 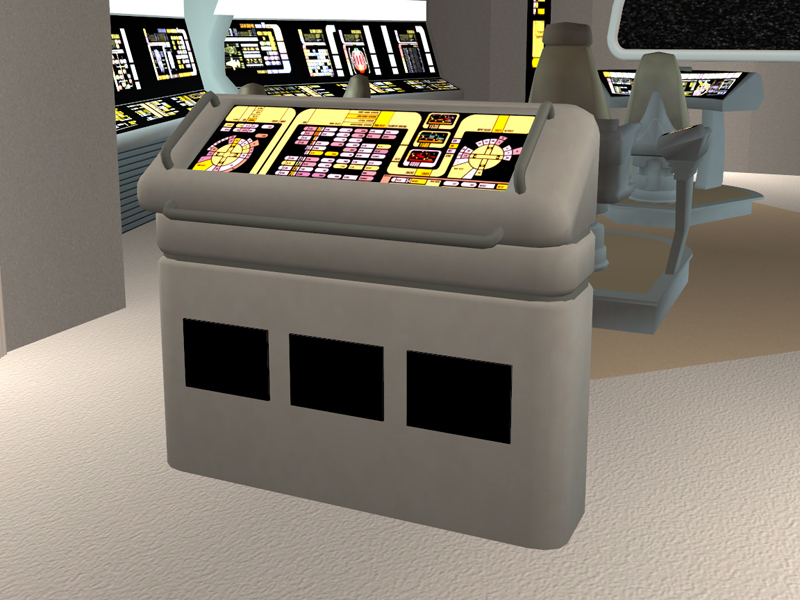 The Z translation of the slot is slightly higher than normal (0.200000), so that the sim sits in the correct position. 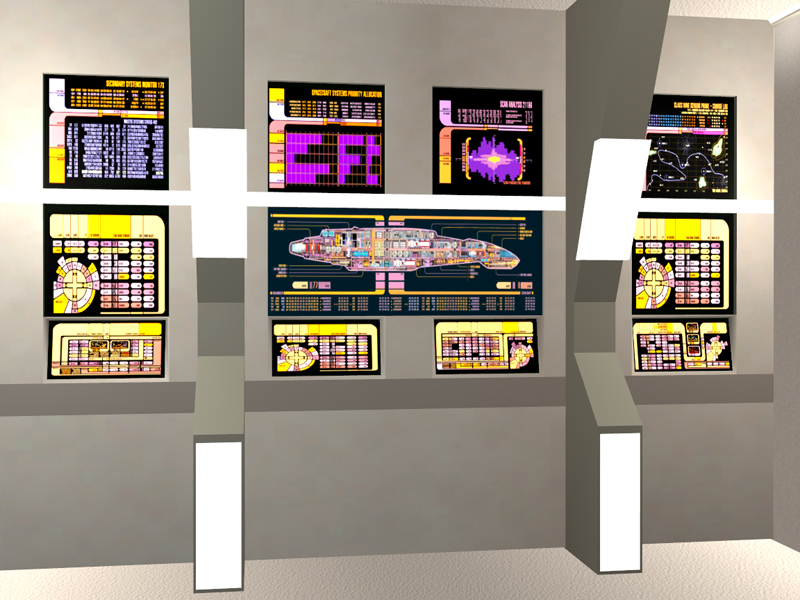 Recolorable subsets: Lightbar and LCARS display. The base color for the lightbar is Red Alert, and a recolor for the standard bridge light is included. 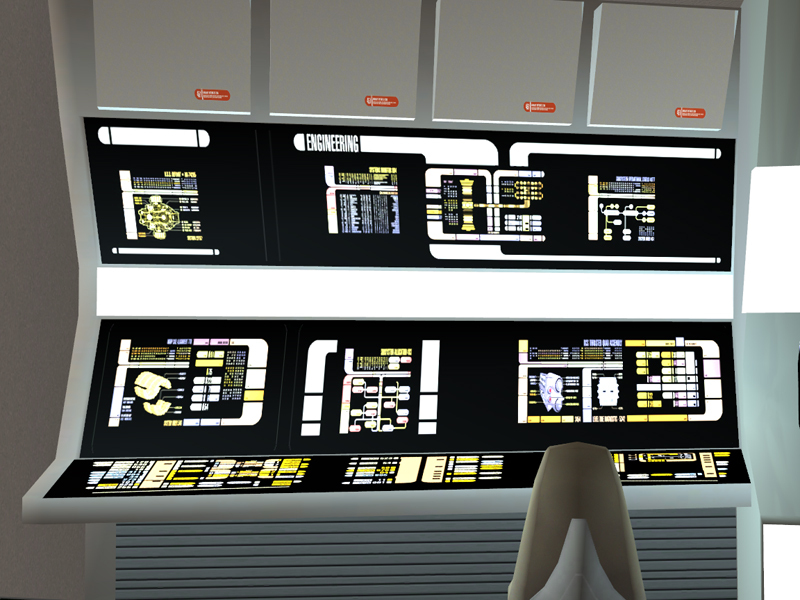 Egghead stuff: 524 polys.The LCARS display is backlit and ultra-detailed. It´s 2048 x 1024 pixels, so the file is big. It's cloned from a 1-tile painting, but it fits perfectly on a 5-tile wall. Egghead stuff: 888 polys.The BHAVS are written so that the sim can gain mechanical skill points and tinkering enthusiasm by running a diagnostic. 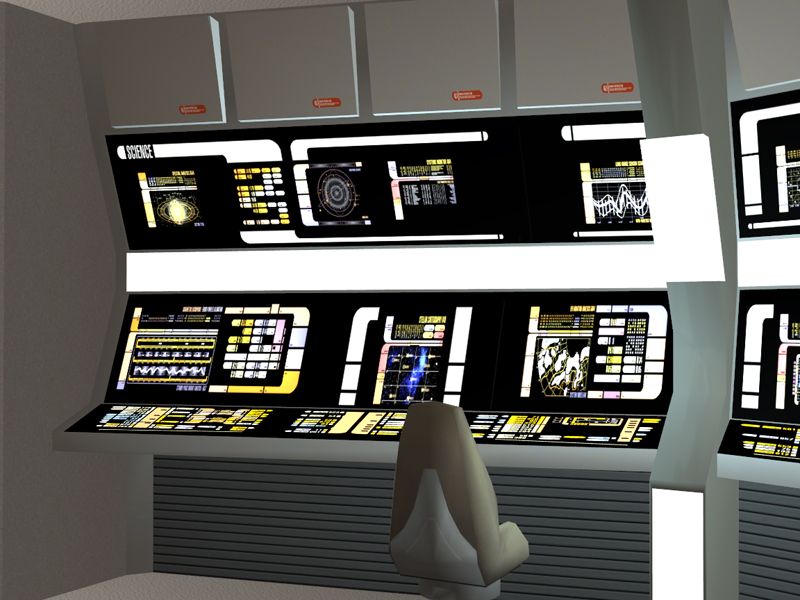 Egghead stuff: 372 polys.The LCARS display is backlit and ultra-detailed. 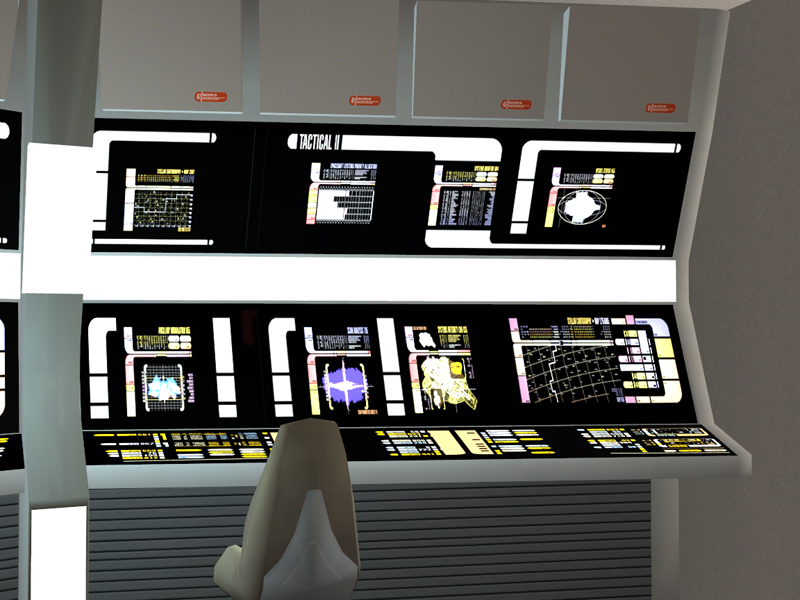 It´s 2048 x 1024 pixels, so the file is big.It's made from a 3x1 table, but fits nicely into a 7x2 space. I've included an invisible table and invisible computer ín the .rar to fill up the empty spaces. Because of the slight taper, the best places to put the computers are the innermost tiles on each side. If the chair and table are placed on the middle tile, the sim disappears into the mesh. Egghead stuff: 543 polys. It's a chair. Your sims park their pixelated behinds on it.